Are you having a baby girl? 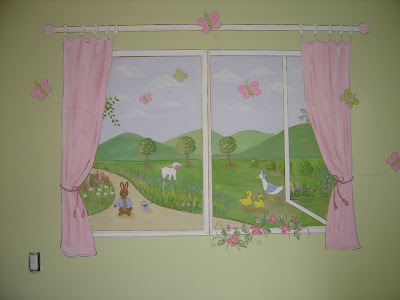 Or maybe you already have a little girl and want to spruce up her nursery or bedroom? 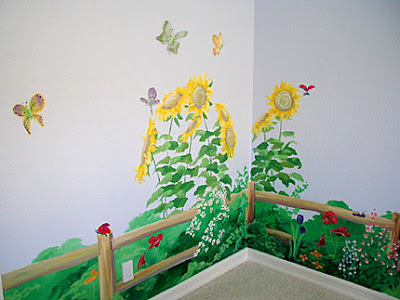 A Garden themed mural is a great choice for the walls of a little girl’s room. It is one theme that can grow with your child as opposed to a babyish theme. 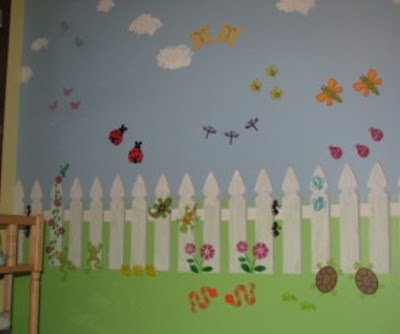 There are so many options for what to include in a garden themed mural – Trees, Flowers, Landscape, Animals, Butterflies….. The possibilities are endless! I mean, with flowers alone think about how many colors and shapes you can include. The whole point of a garden is that it can be customized and created just like you would a real garden. That is why this theme is so much fun! If you have an older child, you can even include them in the design process. They can pick the flowers that they like, the colors, and the animals. Here are a few murals that I came across in my research. As an artist, this is actually the best way to come up with a plan is to gather a bunch of reference pictures. Just do a Google search. A tree is a great way to bring the outdoors in. 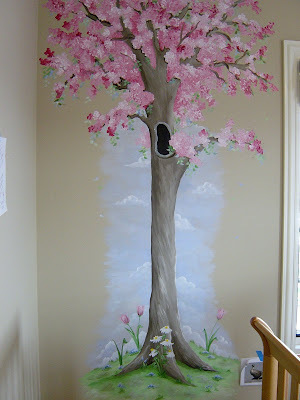 I love this particular tree with the painted spring blossoms! You can even do something simple. Blue for the sky, light green for the grass and a stenciled fence. Then add the small details like they did here. This mural was actually done with stencils. Click on the picture to check out the site that offers these adorable stencil designs. Isn’t this one great? A window! The perfect solution for a room that has a limited amount of light or windows. Love it! So, there you have it! A few great ideas for a Garden Themed Nursery! If any of you have pictures of your own baby nursery that you would like to share – please email me the following info so I can showcase you and your story! Must admit the last one is my favorite! They are all so beautiful tho!